Ginger is one of the healthiest spices on the planet. 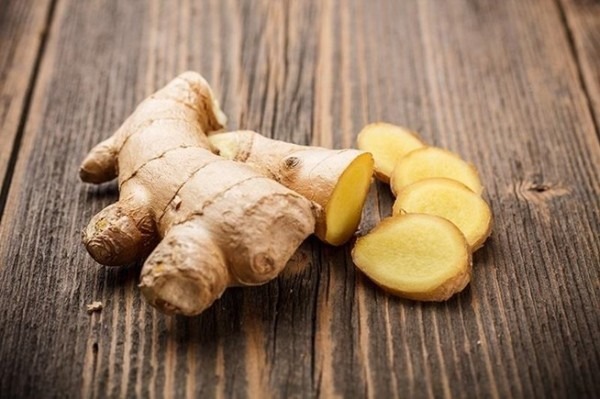 Help with digestive disorders - ​If you suffer from nausea, indigestion or motion sickness then you should definitely make ginger a regular part of your diet. Ginger helps to stimulate the emptying of the stomach without any negative effects and also may help to prevent ulcers. Ginger helps to boost your metabolism - Ginger temporarily increases thermogenesis in the body. Thermogenesis is a process where your body burns up stored fat to create heat, thus having a beneficial impact on metabolism. Research suggests that consuming thermogenic ingredients like ginger may boost your metabolism by up to 5 percent and may increase fat burning by as much as 16 percent. In other words, ginger may be very useful in weight loss! Ginger contains anti inflammatory properties - Ginger is a natural anti inflammatory, which makes it valuable for the relief of pain. One study done in 2001 showed that ginger oil helped reduce knee pain in people with osteoarthritis. Another study done in 2013 found that female athletes who took 3 grams of ginger or cinnamon a day had a significant decrease in muscle soreness. Ginger has even been found to be as effective as ibuprofen for relieving pain due to menstrual cramps. Provides help for diabetics - Ginger appears to have a positive effect on insulin release as well as improved carbohydrate and lipid metabolism. In a clinical trial, diabetic participants who consumed 3 grams of ginger powder for 30 days had a significant reduction in blood glucose, triglyceride level, total cholesterol and LDL cholesterol. It was concluded that ginger had this positive effect on diabetes because it improves lipid profiles, increases insulin resistance and sensitivity and inhibits enzymes in carbohydrate metabolism. May aid in improving brain function - Oxidative stress and chronic inflammation accelerate the aging process and are thought to be the main culprits in Alzheimer's disease and age related decreased cognitive function. Animal studies have suggested that the antioxidants and bioactive compounds in ginger can inhibit inflammatory responses that occur in the brain. There is also evidence that ginger can directly enhance brain function. In a study of 60 middle aged women, ginger extract was shown to improve reaction time and working memory.